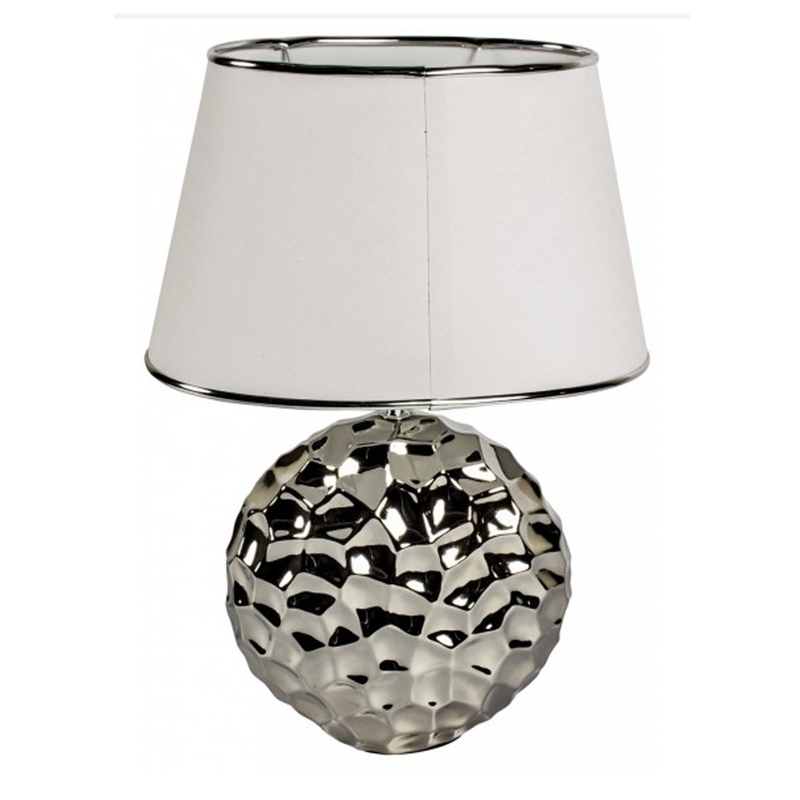 A gorgeous table lamp with a hammered, silver sphere bottom. It has a stunning modern design that is certain to drag attention. It'll be the talking point of your room, with it's outstanding design it's sure to tie your home together.